Life is hard. We all know that. But I want you to know that nothing lasts forever. Sadness doesn't last forever. Pain doesn't last forever and happiness doesn't last forever. Nothing is guaranteed in life. And that's okay. There will be good and bad times. Times where you feel on top of the world and times where nothing seems to be going right. But what I want you to know is that your life is worth living. It may not get better tomorrow, next week or even next year but it will do eventually. Please see it out to the end. You are a beautiful human being. You are a miracle and you better believe it. I know these are words. I know if your suffering with depression or any mental illness that it's a lot harder to believe these words but trust me they are true. Please please please talk to someone if you are struggling. Don't bottle it up. It doesn't have to be a friend or the doctor. Confidential helplines like Samaritans are there to listen 24 hours a day, 365 days of the year. I say this in every post but please talk to me if you are going through a hard time. We don't have to of spoken before. I am here to listen and support you in a confidential and caring way. You will never trouble me ever. 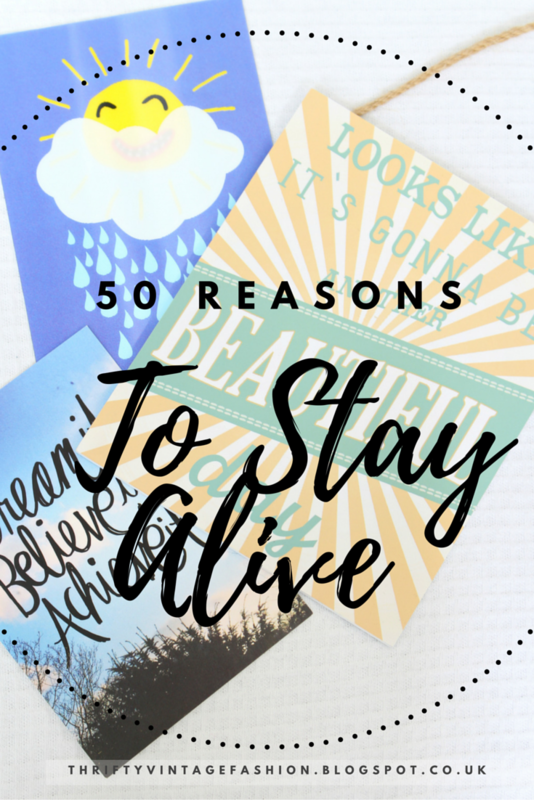 There are so many beautiful reasons to stay alive but here are 50. 2. There is help out there. People who understand. People who can help you. 4. Just because you think everything will get worse, it doesn't mean that it will! 5. Nothing lasts forever. Happiness. Pain. Sadness. These emotions will pass which will later be replaced with new emotions. 30. Because you can create something magical from scratch all it takes is one idea! 32. Because you are not alone. 50. Being able to create another beautiful human being who will be able to experience what you have and so much more. All it takes is bravery and courage. I believe in you. Tomorrow might be a better day, but you have to get there to find out. But if it's not, that's okay- there's always the day after that. Nicole this is such a beautiful and inspiring post, thank you for sharing it. I'm obsessed with all of your posts at the moment - every single one of them seems to draw me in! 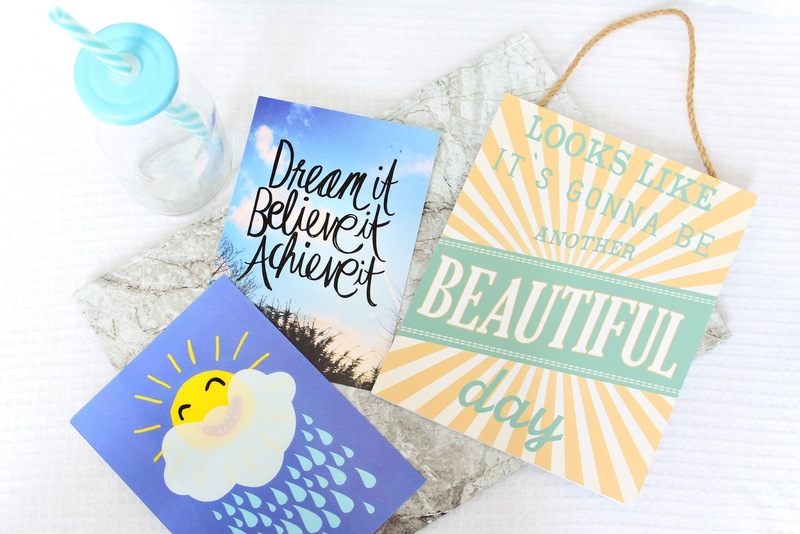 These are such important reminders, and I really hope that someone who needed this little pep up came across your blog today. 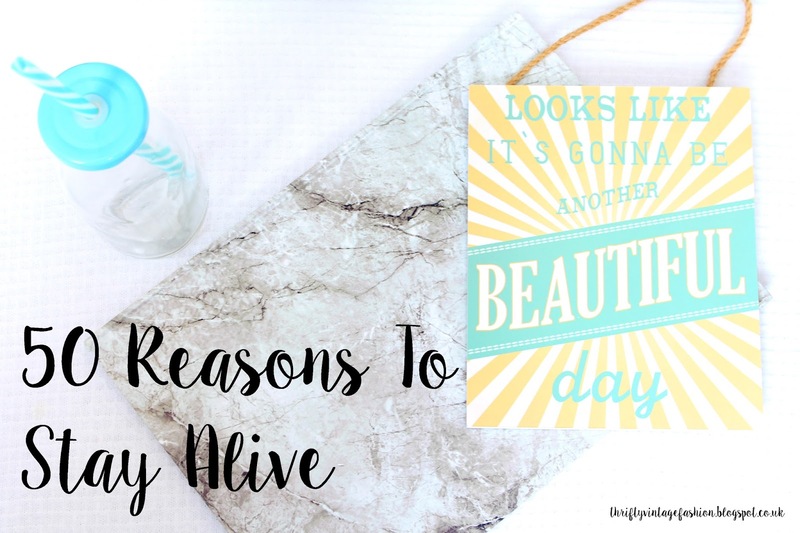 Such a lovely post - so many amazing reasons here to want to stay alive, I will definitely be revisiting this when I'm having a down day! Thank you for sharing this beautiful post. This has definitely brightened up my Sunday and helped me to remember how wonderful life is. My favourite was "There are books you haven't read yet that will grip you"! So very true. Yes definitely! I am glad it has brightened your day, that makes me so happy! Such a beautiful post! This made my day 10x brighter <3 Thank you!!! Oh I love this post Nic, you can tell it comes straight from the heart....love it. There are so many reasons why being alive is awesome. One of them is cake, I mean, who wouldn't want to stick around to try all the different flavours of cake!? =P Or chocolate, you know whichever tickles your fancy! hehe! Loved it Nic thanks for writing it. This is such a beautiful post! These are all really important things to remember!